The governor and legislature of Alabama are working on several reforms for the state public school system, believing that better schools are the key to a better economy. If they are right, Alabama teachers have a significant role to play in not only the state, but the national economic recovery. Recent economic difficulties have presented quite a challenge to the state’s budget, but plans to tighten belts and increase flexibility among schools are being debated to make sure Alabama’s public schools are established and on the right course. What’s the educational climate in Alabama? How’s the job outlook for Alabama teachers? What benefits do Alabama teachers have? 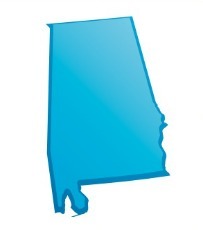 What are the credentialing requirements in Alabama? The Alabama legislature is considering several proposals this year to improve the state’s education. Submitted by Governor Robert Bentley in January 2012, the proposals represent his goal of developing a more skilled workforce for the state, in turn prompting economic recovery. The first proposal is for an expansion of charter schools in the state. Proposed legislation looks to authorize charter schools first in underserved areas and failing school districts, to provide additional educational options and increase accountability. Additional legislation seeks to increase public school districts’ flexibility, moving many educational decisions from the state to the local level. This would give local schools more opportunity to innovate and develop better educational strategies and curriculum. In exchange, schools would submit to greater accountability for student achievement. Two other proposed reforms directly affect teachers. The first, a response to complaints that teachers had to buy school supplies with their own money, is to increase the tax credit for such expenses from $134 to $300. The second and more debated proposal is to change the teacher evaluations to include student achievement. Currently, Alabama teachers’ performance is rated on certain areas of support and professional development, without reference to students’ achievement. But while the proposed legislation would change how teachers are evaluated, it will not change their pay schedule. Meanwhile, some debate continues over a teacher-related law passed last year. In response to teacher complaints that union dues were being used for political activities they did not support, Alabama passed a law prohibiting payroll deduction of dues for groups that used the money for political purposes. While some unions were unaffected by this law, the Alabama Education Association (AEA) has sued over the matter. As of March 2012, the Appeals Court has referred the matter to the state Supreme Court, stating that the law is valid if the AEA has indeed been campaigning. The AEA regularly prepares briefs on how they advise teachers to vote on political issues, but argues that this is an informational activity as opposed to political electioneering. Alabama employs some 43,000 teachers, and needs about 2,200 new teachers each year (counting both growth and replacement of teachers retiring or otherwise leaving the profession). The projected annual job growth rate of 1.23 percent is somewhat better than for all Alabama occupations (1.01 percent). Currently, Alabama schools are experiencing the greatest need for middle and high school teachers in math, English, science, and history. Pension benefits for teachers may soon be changed in Alabama, due to current shortfalls in the state budget. In order to balance the budget and sustain the current level of retirement benefits for teachers, legislators are debating increasing the amount that teachers contribute to their own retirement from 5% to 7.5% of their earnings. Though opposed by the teachers’ unions, such a change would prevent the state from running out of money in the next decade. Many private sector jobs have already had to make similar adjustments, and even if the change is approved, Alabama teachers’ take-home pay would remain above the average for the state. Alabama schools are on a traditional schedule, with summers off. Many districts also schedule one week off for Thanksgiving, and another for Mardi Gras. Counting summer and winter breaks, teachers get 15 weeks of vacation time. They also earn one sick day per month (with no limit) and at least two personal days per year. Currently, salary is based on two factors—years of experience and degree earned. Benefits packages for Alabama teachers include health, dental, vision, disability and life insurance. Additionally, teachers enroll in the state’s Teachers’ Retirement System (TRS). Teachers may retire with full benefits at the age of 60 after 10 years’ service, or at any age (even as young as 50) if they’ve taught for 25 years. Several organizations in Alabama are devoted to teacher development, and to providing educational resources to Alabama teachers. These organizations often publish and discuss research on teaching programs and techniques, and often offer classroom activities or curriculum supplements to improve teachers’ classrooms. Alabama has three classes of teacher certification. Each class represents a different amount of education (bachelor’s degree, master’s degree, or sixth-year program), and is associated with a different pay scale, with more education resulting in higher pay. In order to obtain a Class B certification, teachers need to complete a bachelor’s degree program in elementary education or a specific teaching field (such as math or science) for teaching middle and/or high school. State programs also include a practicum period for future teachers to gain experience in the classroom. After completing such a program, teacher applicants must pass two important examinations: first, the Alabama Prospective Teacher Testing Program (APTTP), demonstrating mastery in reading, writing, and mathematics skills; and second, the Praxis II appropriate to the applicant’s teaching subject or grade. Finally, all applicants for teacher certification must pass a criminal background check. Further information on Alabama’s requirements can be found here, Alabama teaching certification requirements.